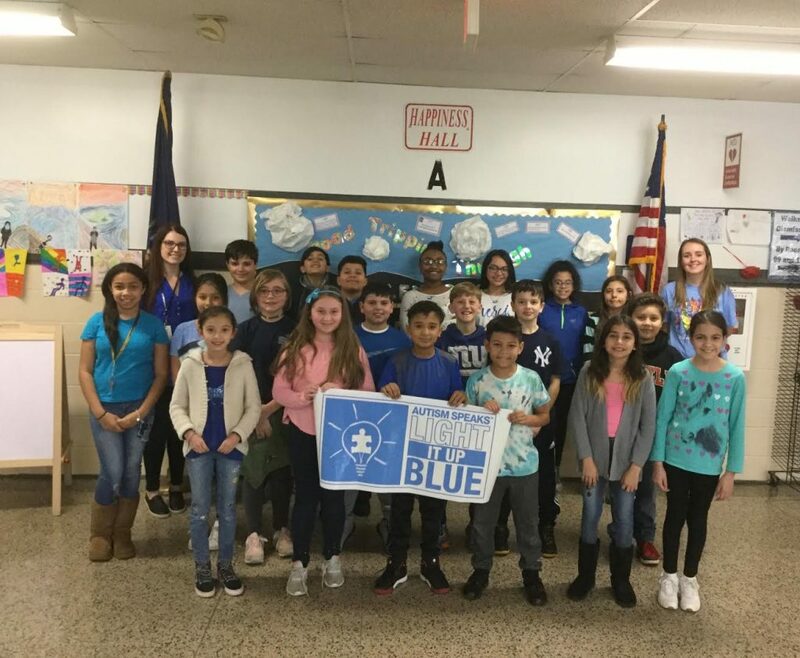 Assisted by special education teacher Kathleen Madigan, the K-Kids encouraged the student body to wear blue and purchase blue bracelets to promote awareness and acceptance of students with autism. Teachers got in the act as well, purchasing T-shirts, which they will wear each Tuesday throughout the month. The Connolly family of students, teachers and staff helped the K-Kids raise $305 to donate to the organization Autism Speaks. Photo Captions: Connolly School’s K-Kids raised money for Autism Speaks throughout the month of April.